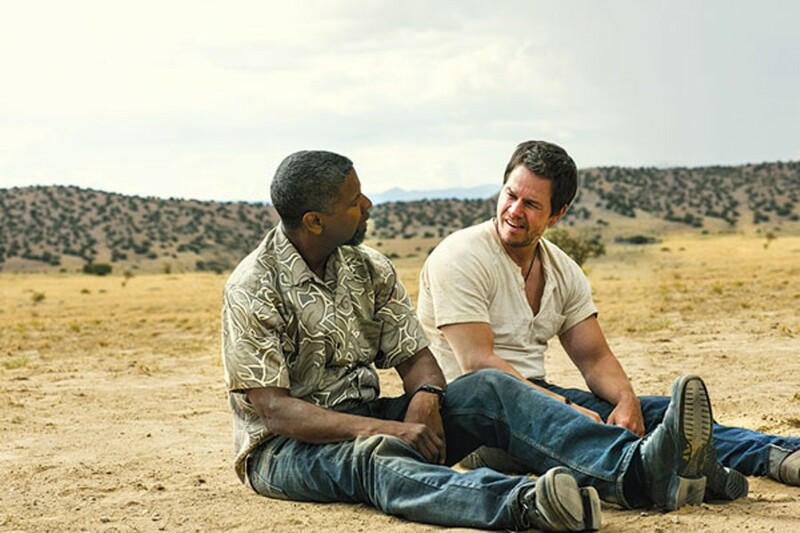 The first 15 minutes of Baltasar Kormákur's comic actioner aren't bad: Denzel Washington and Mark Wahlberg, respectively an undercover DEA agent and an undercover Navy intelligence officer, get breakfast in a small Texas border town. The two have an easy, amusingly prickly chemistry; they spar about eggs and donuts, and leave the worst tip ever: They burn down the diner, as part of a plan to rob the bank across the street. But after this kicky, intriguing start, the film devolves into car chases, shoot-outs and an unimaginably inane plot. 2 Guns is a misnoner, because there are hundreds, seemingly all going off at once. What do you expect when everybody — our heroes, rogue DEA agents, rogue sailors, a Mexican cartel, a rogue CIA agent and assorted doublecrossers and protection details — are all packing? It's a waste of bullets (nothing ever really gets resolved, just continued), and a waste of talent. Washington and Wahlberg are slumming. It's their right and they're likely paid handsomely for it — but we don't have to pay to watch it.